Sept. 17 - It's our 2nd day in Beijing! We got up early 'cause we got a long day ahead. 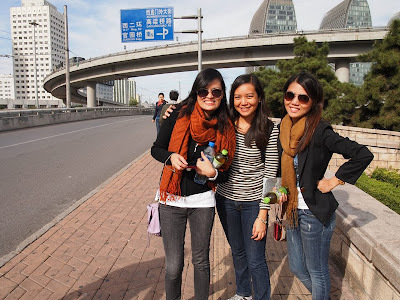 Out on a cold weather, we braved the streets to find our way to the Beijing North Railway Station. Good thing a friend's co-worker was able to write down in English and Chinese characters, on a sheet of paper, some sentences asking for directions to the Great Wall, which we brought along with us. It really helped us a lot! So we took the subway and went off at Xizhimen station. There we tried to ask a vendor in a mini grocery where the Beijing North Railway Station was. He understood what's written on our paper but he didn't know how to communicate his response to us. It took us "charades" to figure out! LOL! Then we found the station but all signages were in Chinese characters. But because we got a paper guide, we were able to buy ticket easily. Then we waited for the train. When the train was there, it took 15 minutes to unload 'coz it got so many passengers. When gates were opened, everybody ran to the train. We didn't know what's going on so we also ran! HAHAHA! So funny! 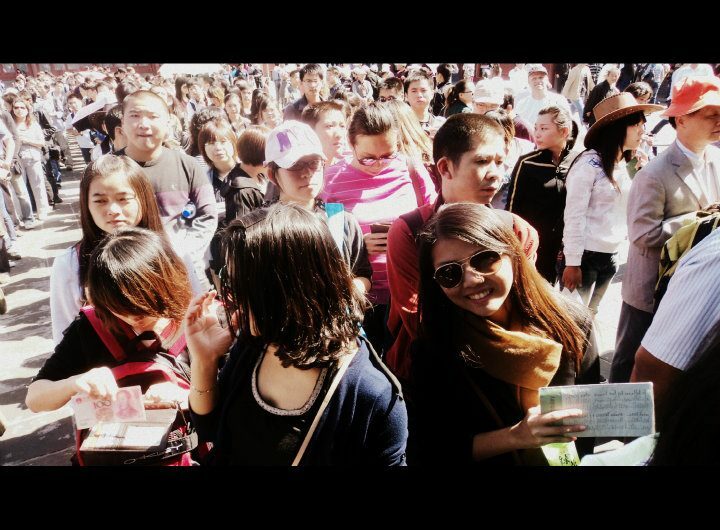 In the train, there were people selling Great Wall entrance tickets but we couldn't understand them. My seatmate got an iPhone and she's translating our conversation via Google Translate. Then two college girls overheard our English conversation. Luckily, they're Chinese girls who can understand and speak English! We became friends with them and we decided to make them a part of our group. They've been such a relief for us! 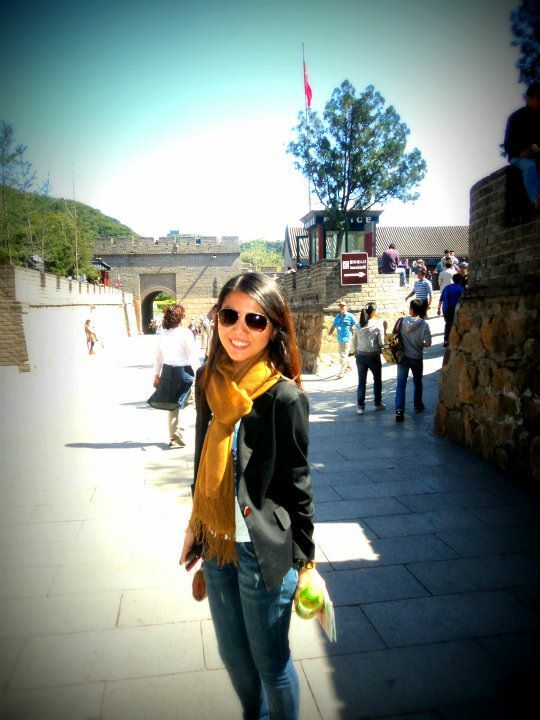 So we went off at Badaling Station. We bought snacks before going up the Great Wall. After a couple of hours there, we went down by riding a sliding car that's like a mini rollercoaster. Then we saw bears at the exit. We walked going out trying to find the railway station, but we found out that we went out at the wrong exit and the only way for us to go back to where we came from was by riding a bus. Gosh it took us two hours plus traffic and hot weather to get back to the city. 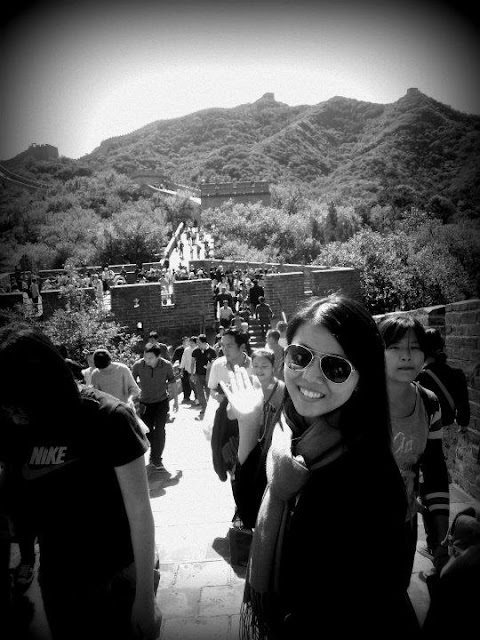 i love the Great Wall! 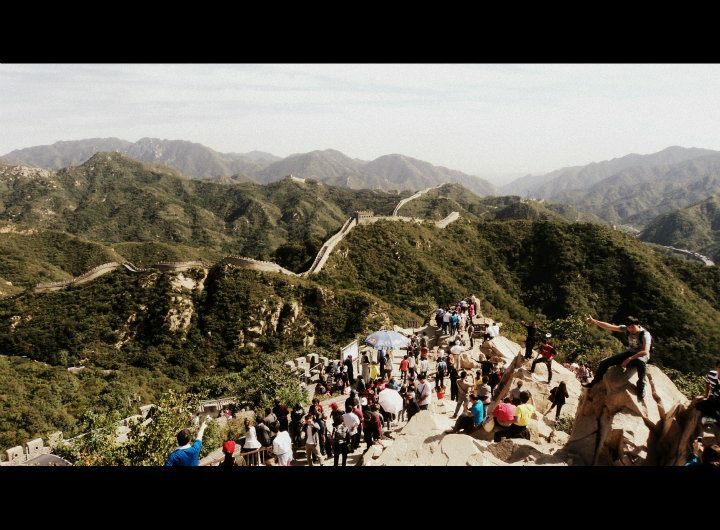 Our Great Wall experience was so rewarding! I really enjoyed it. It's not everyday that one gets to see one of the World's Wonders, and I'm so lucky to have seen one at the age of 24! 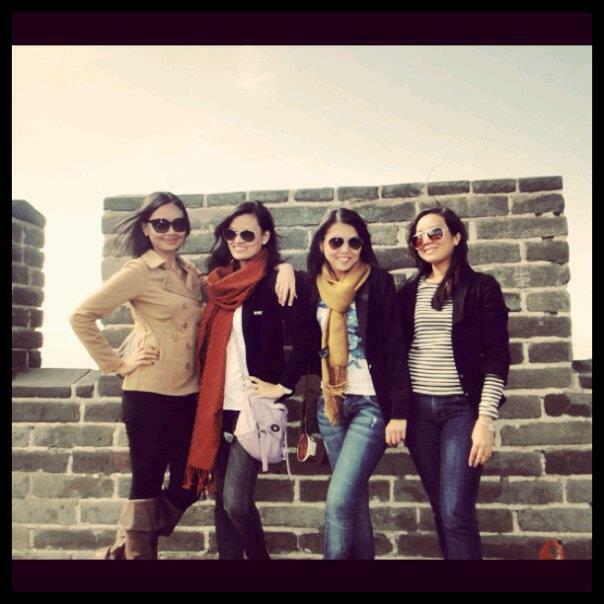 :) I wish to see more of the 7 Wonders soon!!! It’s a nice trip report about the tour to Great Wall of China where I also visited before grand canyon tour from los angeles. This Great Wall was built to link existing defenses into a united protection system and better keep invading Mongol tribes out of China. It is steeper to climb to the left when you go up but that means less crowded. We went that way and probably walked over a mile at which point you are pretty much on your own and can take great pictures from a higher point.